Waste innovator receives award in implementing effective technology category. 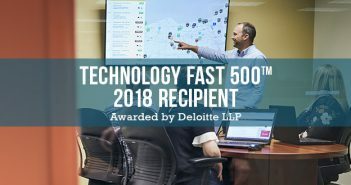 Westlake, Ohio – Feb. 10, 2017 – Budget Dumpster, one of the leading and fastest growing waste companies in the U.S., has been named as an honoree at the 2017 Cleveland Technology Awards. 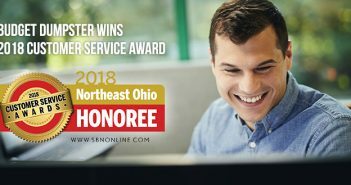 Presented by Smart Business magazine, the Cleveland Tech Awards recognize Northeast Ohio companies that develop and implement impactful technology. Budget Dumpster’s selection was based on a number of factors, including technology that streamlines price-quoting for customers and a proprietary content management system that has scaled digital marketing efforts. Honorees will be recognized at an awards luncheon held on Thursday, March 23, 2017 at the Silver Grille in The Higbee Building. 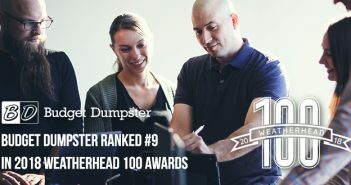 Fenn and co-founder Campbell founded Budget Dumpster in 2009 to disrupt a waste industry niche – temporary roll-off dumpsters – that was ripe for innovation. For more information on the Cleveland Technology Awards and the full list of 2017 honorees visit their awards page.